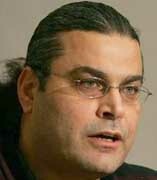 Following the arrest of German national Khalid el-Masri in Macedonia (see December 31, 2003-January 23, 2004), a dispute breaks out at CIA headquarters over what to do with him. Alfreda Frances Bikowsky, a manager at Alec Station, the CIA’s bin Laden unit, argues that el-Masri should be rendered to Afghanistan. Author Jane Mayer will describe Bikowsky as a “tall, pale-skinned, spiky-haired redhead who wore bright red lipstick” and indicate she is a former Soviet analyst who had been at Alec Station during the pre-9/11 failures. Mayer will add that she “was particularly controversial among many of her male colleagues for her ferociousness,” and, that she was “reviled by some male colleagues for what they regarded as her aggression.” Lacking proof against el-Masri, Bikowsky argues that the man in custody is probably a terrorist and should be taken to a black site. [Mayer, 2008, pp. 35, 273, 282-283] A former CIA officer will say: “She didn’t really know. She just had a hunch.” [Washington Post, 12/4/2005] Mayer will attribute Bikowsky’s determination to having been part of the unit when it failed before 9/11. Other officers suggest they should wait to see whether el-Masri’s passport, suspected of being a forgery, is genuine or not, and point out there is no evidence he was anything but a tourist on holiday when he was arrested. However, Bikowsky does not trust the Germans, apparently thinking them soft on terrorism, and does not want to wait. Another problem is that these discussions occur during the holiday period and, by the time the CIA’s station in Germany looks at the paperwork, el-Masri is already on his way to Afghanistan (see January 23 - March 2004). [Mayer, 2008, pp. 282-283] Bikowsky will also make a sight-seeing trip to see alleged 9/11 mastermind Khalid Shaikh Mohammed waterboarded (see After March 7, 2003), will be considered for the position of deputy station chief in Baghdad (see (March 23, 2007)), and may be interviewed by the CIA’s inspector general during its investigation into torture (see July 16, 2003). Al-Qaeda leader Hassan Ghul is caught at the Iraq-Iran border. Details are sketchy, both about the arrest and Ghul himself, who has never been publicly mentioned before. Several days later, President Bush will say: “[L]ast week we made further progress in making America more secure when a fellow named Hassan Ghul was captured in Iraq. [He] reported directly to [9/11 mastermind] Khalid Shaikh Mohammed.… He was captured in Iraq, where he was helping al-Qaeda to put pressure on our troops.” [Washington Post, 1/27/2004] Ghul had been living in Pakistan, but the Pakistani government refused to arrest him, apparently because he was linked to a Pakistani military group supported by Pakistani intelligence (see (2002-January 23, 2004)). Pakistan is reportedly furious when it is told he has been arrested in Iraq. [Associated Press, 6/15/2011] US officials point to his arrest as proof that al-Qaeda is heavily involved in the resistance in Iraq. One official says that Ghul was “definitely in Iraq to promote an al-Qaeda, Islamic extremist agenda.” [Fox News, 1/24/2004] The 9/11 Commission will later claim: “Hassan Ghul was an important al-Qaeda travel facilitator who worked with [al-Qaeda leader] Abu Zubaida assisting Arab fighters traveling to Afghanistan. In 1999, Ghul and Zubaida opened a safe house under the cover of an import/export business in Islamabad [Pakistan]. In addition, at Zubaida’s request, Ghul also successfully raised money in Saudi Arabia.” [9/11 Commission, 8/21/2004, pp. 64 ] But despite acknowledgment from Bush that Ghul is in US custody, Ghul subsequently completely disappears, becoming a “ghost detainee.” Apparently, he will provide vital intelligence during US interrogation (see Shortly After January 23, 2004). The US will eventually transfer Ghul to Pakistani custody (see (Mid-2006)), and Pakistan will release him, allowing him to rejoin al-Qaeda (see (Mid-2007)). Hassan Ghul, an al-Qaeda leader captured in Iraq in January 2004 (see January 23, 2004), tells interrogators that Abu Ahmed al-Kuwaiti is a trusted courier who is close to Osama bin Laden. Abu Ahmed is an alias; his real name apparently is Ibrahim Saeed Ahmed, but at this point US intelligence only knows him by his alias. Paul Butler, chief of staff for Defense Secretary Rumsfeld, claims in a briefing that the prisoners being held in Guantanamo are “very dangerous people” who include “senior al-Qaeda operatives and leaders and Taliban leaders.” However, the New York Times will later report that “several senior officials with detailed knowledge of the Guantanamo detainees described Mr. Butler’s portrait of the camp as a work of verbal embroidery, saying none of the detainees at the camp could possibly be called a leader or senior operative of al-Qaeda.” [New York Times, 6/21/2004] Probably the closest to an al-Qaeda leader being held is one of bin Laden’s former bodyguards who nonetheless will be released later in 2004 (see Late November 2001). There were media reports as far back as August 2002 that no al-Qaeda leaders were being held at Guantanamo (see August 18, 2002). Some al-Qaeda leaders will be sent into the prison from secret CIA prisons in September 2006 (see September 2-3, 2006). Antonio M. Taguba. [Source: US Army]Maj. Gen. Antonio M. Taguba files a 53-page classified report which finds that between October and December of 2003, members of the 372nd Military Police Company and US intelligence community engaged in numerous incidents of “sadistic, blatant, and wanton criminal abuses” against prisoners at the Abu Ghraib prison in Baghdad. As evidence, he cites “detailed witness statements and the discovery of extremely graphic photographic evidence.” The photographs—which are later leaked to the press (see Mid-April 2004), causing an enormous international public outcry—are not included in the report. [US Department of the Army, 3/9/2004; New Yorker, 5/10/2004; New Yorker, 5/17/2004] Taguba also takes issue with the November 5 (see November 5, 2003) Ryder report which concluded that the military police units had not intentionally used inappropriate confinement practices. “Contrary to the findings of MG [Maj. Gen.] Ryder’s report, I find that personnel assigned to the 372nd MP Company, 800th MP Brigade were directed to change facility procedures to ‘set the conditions’ for MI interrogations.” Army intelligence officers, CIA agents, and private contractors “actively requested that MP guards set physical and mental conditions for favorable interrogation of witnesses.” [US Department of the Army, 3/9/2004; New Yorker, 5/10/2004] He presents his report to his commander on March 3 (see March 3, 2004). Mohammed Saad Iqbal Madni is flown from Egypt to Bagram air base in Afghanistan and then taken to Guantanamo, where he provides the three Britons known as the Tipton Three with information on Moazzam Begg, whom he encountered at Bagram. [Rasul, Iqbal, and Ahmed, 7/26/2004 ] Madni had been sent to Egypt at the request of the US, presumably so he could be tortured and interrogated there (see January 11, 2002). Asif Iqbal, another inmate at Guantanamo, says Madni told him that in Egypt “he had had electrodes put on his knees and something had happened to his bladder.” [Rasul, Iqbal, and Ahmed, 7/26/2004 ] As of early 2008, there have been no reports of his release. Abu Musab al-Zarqawi, a Jordanian militant leader fighting against US-led forces in Iraq, allegedly says on an audiotape that prisons in Jordan have become “the Arab Guantanamo.” He says: “Whoever the Americans find hard to investigate in Pakistan and Afghanistan, they move to Jordan, where they are tortured in every way.” [Observer, 6/13/2004] Jordan is a country that is notorious for its use of torture (see 1993). Hassan Mustafa Osama Nasr (a.k.a. Abu Omar) is temporarily released in Egypt, where he was taken by the CIA after being abducted (see Noon February 17, 2003). He makes a series of phone calls to family members and acquaintances in Milan, Italy, saying he was kidnapped, taken by English- and Italian-speaking men, put on a plane with a US flag on it, and held in prison for a year, but is now under house arrest. In one of the calls, Nasr tells his wife: “I was very close to dying. But I don’t think about death anymore.… I am deeply saddened because I wasn’t able to do what I had planned to do in Italy.” He says that he has been tortured—subjected to freezing temperatures and electric shocks, among other forms of abuse (see Late February 2003 or Shortly After). He also warns religious colleagues at the Islamic Cultural Center in Milan that his Egyptian interrogators want to abduct another three people. He is soon rearrested by the Egyptian authorities because of the calls. The calls are recorded by Italian investigators, who have had him under surveillance for some time. [Washington Post, 12/6/2005; GQ, 3/2007 ] Armando Spataro, an Italian prosecutor who had previously worked with the CIA on surveillance of Nasr in Milan, learns of the calls. As the CIA’s practice of rendition is well known, he is unsurprised the agency had played a role in the operation, and also feels Italian intelligence may have been involved. However, the first call the Italians intercept from Nasr in Egypt causes them to try to determine the exact circumstances of the kidnap. According to GQ magazine, Spataro considers the rendition a “national embarrassment” and a “clear violation of Italian sovereignty and law.” [GQ, 3/2007 ] Nasr will be released again in 2007 (see February 11, 2007). Two officers in the CIA’s European division hatch a plan to free an innocent German named Khalid el-Masri who has been held at an agency black site since January (see January 23 - March 2004). The plan, which is termed a “reverse rendition,” is basically to take el-Masri out of prison, fly him somewhere, drive him round in circles for a few hours, and then let him go. However, a manager at Alec Station, the CIA’s bin Laden unit, is opposed to this plan. The manager, Alfreda Frances Bikowsky, had been the driving force behind el-Masri’s rendition to Afghanistan in the first place and had previously put obstacles in the way of his release (see Late March 2004). Now, she still argues that el-Masri is a terrorist. Author Jane Mayer will comment on why Bikowsky’s opposition carries weight: “She had an unusual amount of clout in the agency. She was smart and tough. And her trump card was that she sometimes personally briefed President Bush.” [Mayer, 2008, pp. 285-286] Despite Bikowsky’s opposition, a version of the “reverse rendition” plan will be implemented at the end of May (see May 29, 2004). CIA Director George Tenet orders a suspension of waterboarding and some other aggressive interrogation techniques. Intelligence officials will later claim that the Abu Ghraib scandal publicized in April 2004 (see April 28, 2004), is a major factor in the decision. 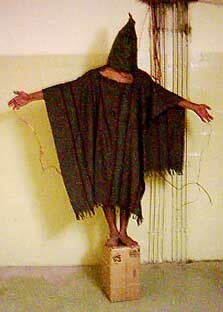 Additionally, the CIA’s Inspector General finishes a secret report around the same time the Abu Ghraib scandal breaks, an it suggests that many aggressive techniques may violate an international treaty against torture that the US has signed (see May 7, 2004). NBC News will later claim that the biggest reason is the worry: “Could CIA officials, including both the interrogators and their superiors, ultimately be prosecuted?” [MSNBC, 9/13/2007] The CIA approved a list of about 10 aggressive techniques, including waterboarding, in March 2002 (see Mid-March 2002), and used them on many high-ranking al-Qaeda detainees until this time (see March 28, 2002-Mid-2004). But the CIA suspends their use until the Justice Department can conduct a legal review. One former senior CIA official will say in June 2004, “Everything’s on hold. The whole thing has been stopped until we sort out whether we are sure we’re on legal ground.” [Washington Post, 6/27/2004] In December 2004, the Justice Department will publicly issue a new and public memo allowing the use of some aggressive techniques (see December 30, 2004). Then, in February 2005, it will secretly issue another memo that goes further, and will even allow the CIA to use waterboarding again. The New York Times will later call it “an expansive endorsement of the harshest interrogation techniques ever used by the Central Intelligence Agency” (see February 2005). The CIA presumably then resumes using most of these techniques but it does not resume waterboarding, as it had already stopped doing that in 2003 (see May 2002-2003). CIA Director George Tenet is informed that the agency has wrongly rendered an innocent German named Khalid el-Masri to a black site in Afghanistan and has been holding him there for several months (see January 23 - March 2004). Tenet receives this information at a meeting with all the main participants in the case: a bin Laden unit manager named Alfreda Frances Bikowsky who pushed the rendition in the first place; Counterterrorist Center head Jose Rodriguez and Deputy Director for Operations James Pavitt, who have known of the case for some time but done nothing about it (see (April 2004)); and two European Division officers who have a plan to free el-Masri (see (April 2004)). After they all say their piece, Tenet is, according to author Jane Mayer, “stunned.” He says: “Are you telling me we’ve got an innocent guy stuck in prison in Afghanistan? Oh sh_t! Just tell me—please—we haven’t used ‘enhanced’ interrogation techniques on him, have we?” The group then discusses what to do, and one suggestion is to let him go with a large quantity of cash. According to two of Mayer’s sources, Pavitt chuckles, “At least the guy will earn more money in five months than he ever could have any other way!” [Mayer, 2008, pp. 286] No definitive decision about what to do is taken, and Tenet goes to see National Security Adviser Condoleezza Rice (see (May 2004)).